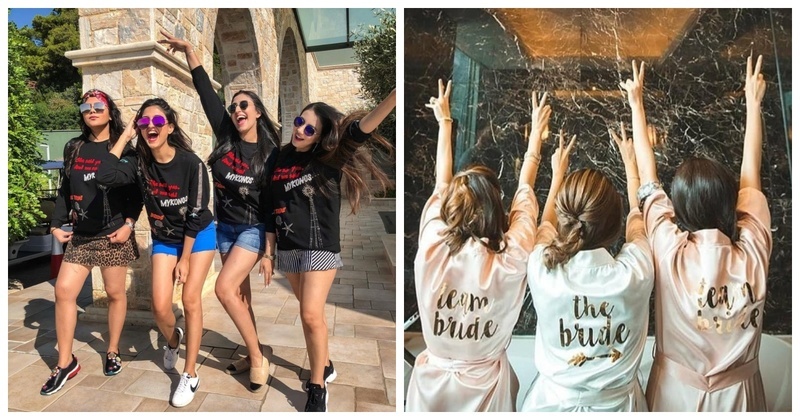 8 Places other than Goa that you need to consider for your bachelorette trip! Bachelorette trips are much more than having fun with your girlfriends. It’s about bonding, freedom and everlasting friendship. Oh who am I kidding, it is all about having a blast with your girlfriends and taking the secrets of the night to your grave! Bachelorette trip is always a good way to shower some love at your bride to be, but are you working on a tight schedule and can’t decide where to go? Take a seat back and sip on those margaritas ladies till I guide you to the 8 best places within the country for a bachelorette trip! And no, Goa is not on the list! If you dig at lush bamboo forest, terrace rice fields and incredibly beautiful and breathtaking nature, Ziro is the place for you! Ziro Valley is a quaint, picturesque place in Arunachal Pradesh and also a paradise for adventure junkies! Laze around in nature’s lap with your girlfriends and you’ve got yourself a perfect bachelorette trip! Things to do in Ziro Valley: Fishing at Pange river, trekk the talley valley, attend the Ziro Music Festival ,etc. Know more about Ziro Valley here. India’s own little French capital is a great place for a bachelorette trip. Pristine beaches and lip smacking delicacies make Pondicherry an ultimate place to chill. You can always take the bride to be to Auroville and calm down her wedding jitters! Things to do in Pondicherry: Snack on some French delicacies, meditate at Auroville and go to Le Cafe, a 24 hour cafe, etc. Know more about Pondicherry here. “Scotland of the East” due to their striking landscape. The intertwined roads in the valley will give you major road trip goals! The mountains are calling you honey! Things to do in Meghalaya: Trek around the forests, witness the Elephanta falls and just gaze around! Know more about Meghalaya here. Andaman and Nicobar islands known for their white sand beaches, tropical rainforests and mangroves. Their world famous for the seafood and scuba diving. Don’t miss on this one, girlies! Things to do in Andaman & Nicobar: Scuba diving, fishing and water sports. Know more about Andaman and Nicobar here. Himachal Pradesh is one of my favourite places in India. If you love old school cafes, evenings spent by the fire and stunning nature, you should definitely go to Himachal Pradesh. Have your pick from Dharamshala, Dalhousie, Shimla, Manali or go to all! I assure you you’ll be in ‘high’ spirits (wink wink nudge nudge!) in Himachal Pradesh! Things to do in Himachal Pradesh: Barachal-Chandratal Trek, shop, go wild! Know more about Himachal Pradesh here. Kodaikanal is one of the best places for a trip during the summers owing to its altitude. Hill stations are pretty fun and I bet you’ll want to crawl back to this one. Cascading waterfalls, rivers and jungles just add to Kodaikanal’s beauty. Know more about Kodaikanal here. Things to do in Gokarna: Enjoy some water sports with your gang! Know more about Gokarna here. You know what Daman has else than beaches? Cheap alcohol! Alcohol is suppper cheap in Daman which means you can drink like a fish without getting broke! Things to do in Daman: Just laze around on the beach and drink! Know more about Daman here. Jaa beta jaa, jee le apni ZNMD wali khwaish!